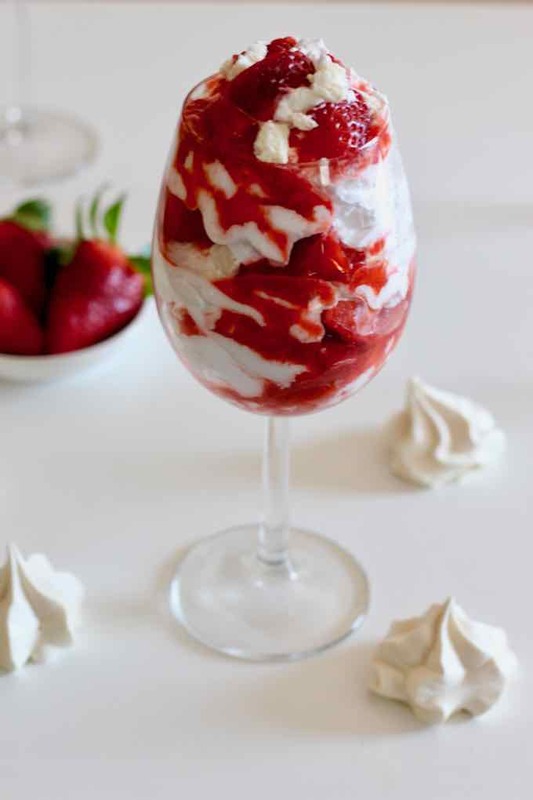 Eton mess is a traditional English dessert made from a blend of fresh strawberries or sometimes bananas, coarsely crushed meringue and slightly sweetened whipped cream. 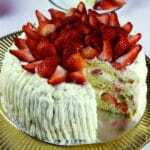 A cloudy and creamy dessert, without being too sweet, with the delicious tangy touch of strawberry. It is an absolutely divine delicacy! 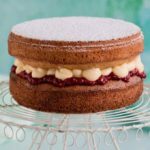 Let’s head to Berkshire, west of London, across from the beautiful city of Windsor and more precisely at the famous Eton College, to discover this delicious dessert! This is a dessert made of simple ingredients and that is very easy to prepare. The preparation is very simple. You can prepare the meringue but, to make it even simpler, you can also buy it. If you decide to prepare the meringues, it will be especially important to ensure that they are well cooled before assembling all the ingredients. So we are talking about meringues, some strawberries cut into small pieces, some strawberries reduced to a coulis, and whipped cream. You mix everything to obtain the most perfect mess! It is therefore a dessert that lends itself perfectly to a last minute preparation. The ingredients can also be prepared in advance and stored in the refrigerator while waiting to be combined. But what do strawberries, whipped cream and messy meringue pieces have to do with Eton College? What is the origin of Eton mess? Let’s start with the prestigious Eton College or, more completely, King’s College of Our Lady of Eton beside Windsor, the creme de la creme of British public schools. This highly elitist college was founded by King Henry VI in 1440 in the city of Windsor, famous for its royal castle. Throughout its history, Eton has been one of the leading independent schools in the UK and continues to provide an education that is associated with academic excellence. Traditionally, male members of the Royal Family of England are sent to Eton. Princes William and Harry have actually studied there. At Eton College, we obviously play cricket, the very British team sport. Eton cricket is very famous for the annual match between Eton College and Harrow School, another excellent school in North East London. This match takes place at the famous Lord’s Cricket Ground, or simply Lord’s, a cricket stadium located in the St. John’s Wood district of London and owned by the Marylebone Cricket Club. 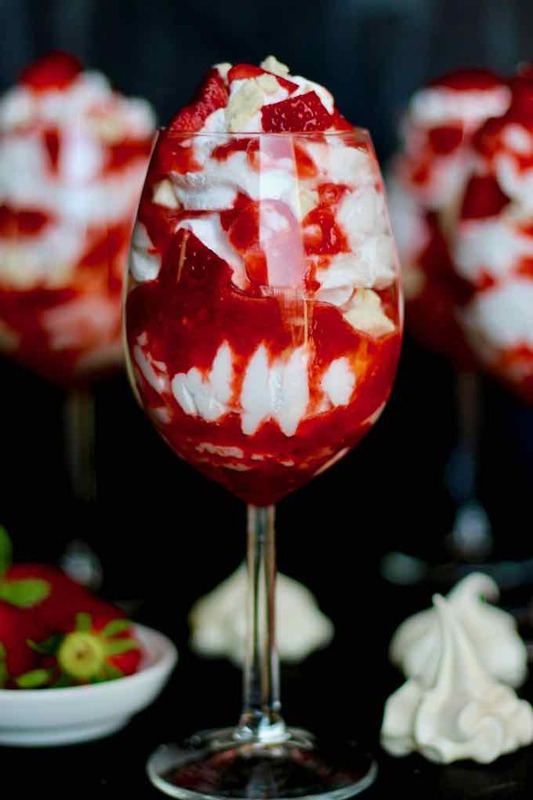 In fact, the Eton mess is traditionally served at the annual cricket match held on June 4th between Eton College and Harrow School. What is the origin of the name “Eton mess”? At the origin of this name, there are several legends. Another legend claims that in the early 1920s an English family was on their way to visit their son, a student at Eton College. 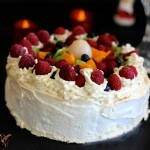 Among the provisions that they brought to the pension student, there was a pavlova which did not hold up well during the trip, and collapsed to become a chaotic mixture of meringue, whipped cream and red fruit. Pavlova is this famous emblematic dessert from New Zealand named after the Russian ballerina Anna Pavlova, and composed of meringue that is garnished with fresh fruits, the same ingredients as the Eton mess. 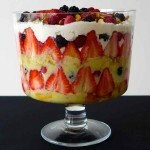 It was only during the 1930 annual cricket match that the Eton mess became the iconic dessert of the event, served at the end of the traditional lunch preceding the match. Soft, crispy or both at once, the meringue brings an airy touch to this tasty dessert. 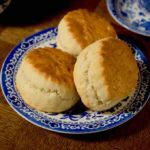 What is the history of meringue? 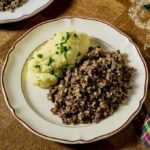 It is soft, friable, and creamy. Whether it is to decorate cakes and ice creams or to be a simple treat on its own, meringue is more than ever a delightful idea. This sweetness based on egg white, sugar and salt became known in pastry shops around the world at the beginning of the year 1700, when the Swiss pastry chef of Italian origin, Gasparini, created one to win the heart of Princess Marie-Antoinette, betrothed to King Louis XV, the Beloved. His procedure was very simple: whipping the egg whites and sugar to a firm consistency, then baking the dough to dry and give this candy the friability that characterizes it. From then on, the meringue spread quickly throughout Europe, even to Queen Elizabeth I, who nicknamed it a “kiss”. White and soft as snow, this specialty owes its name to the Swiss city of Meiringen where Gasparini came from. 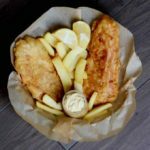 The city is better known as a sporting destination than gastronomic. However, in 1985, in Meiringen, the largest meringue in the world was prepared. It measured 8 feet long, 5 feet wide and 2 feet high. To prepare this meringue that entered in the Guinness Book of Records, it took 2,000 eggs, 250 lb of icing sugar and 60 quarts of whipped cream. It was finally Swiss baker Angelo Rime, from Botterens, who in the 1960s became the pope of the meringue, thanks to a particular cooking method: to cook the preparation in a very hot oven. – Italian meringue: it is the meringue that is prepared with cooked sugar. Its preparation requires a thermometer because the temperatures must be very precise. The egg white is beaten to firmness and the sugar is first heated with a little water, so as to form a sugar syrup, and brought to a temperature between 244 F° and 250 F, then added gradually to the egg whites. 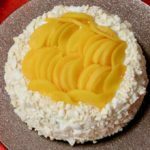 The Italian meringue is ideal for decorating cakes and can be colored with a torch as on a lemon meringue pie, but also as a base to give volume and air to frozen desserts and mousses. – French Meringue: it is prepared cold, bu whisking the egg whites and powdered sugar. The sugar must be added little by little. This type of meringue is therefore mainly used to prepare dry meringues. They need to be cooked in a convection oven between 176 F and 212 F for a few hours. The low cooking temperature is necessary not to caramelize the sugars and therefore to keep the meringues very white. – Swiss meringue: it is prepared by heating the egg whites and sugar in a saucepan in a bain-marie until they reach a temperature of about 140 F. It can be consumed as is or dried in the oven. There is a lesser known but no less delicious meringue variety: the Sardinian meringue, also called bianchino. 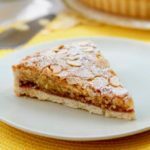 It is the meringue produced in Sardinia that has the particularity of containing almonds in the dough. Egg whites are therefore whipped with icing sugar and almond flour and baked at about 350 F for only 15 minutes. To prepare the Eton mess, I personally chose the most classic method, the French meringue. 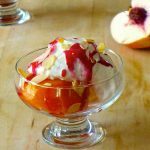 It may be a visually chaotic dessert but it is so good! The mixture of strawberries and vanilla cream, with the pieces of meringues is a sweet pleasure for the palate. 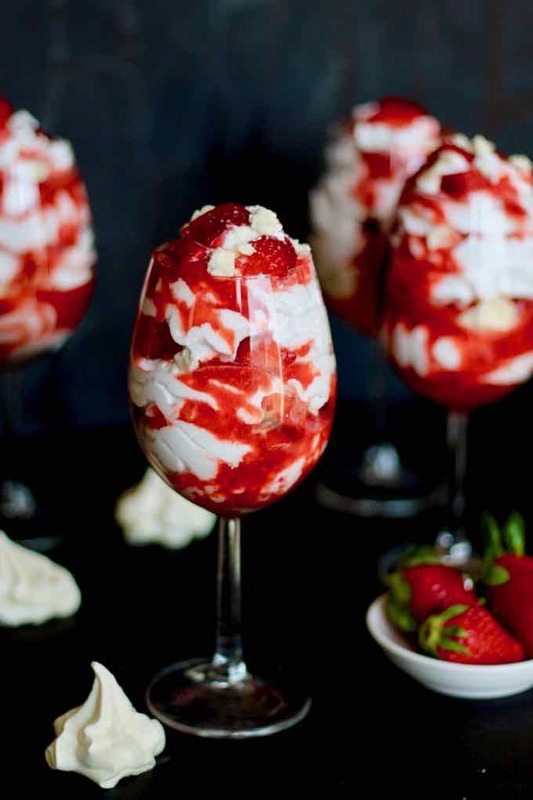 Eton mess is a traditional English dessert made from a blend of strawberries (or bananas), crushed meringue and slightly sweetened whipped cream. Preheat the oven to 195 F.
In the bowl of a stand mixer, beat the egg whites and salt at maximum power until they become foamy. Stir in a tablespoon of caster sugar and the lemon juice. Beat for about 1 minute without reducing the power so that the sugar has time to dissolve in the egg whites. When the egg whites for a soft peak, add the remaining caster sugar and continue whisking at medium speed for 1 minute. When the meringue is firm and shiny, gently add the icing sugar and whisk at low speed for 4 to 5 minutes. The meringue must be very smooth, very white and especially very dense. Place the meringues on a silicone mat or parchment paper, giving them the desired shape, using a piping bag or a teaspoon. Bake for 4 hours. Wait until the oven is completely cold before removing the meringues. 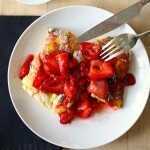 Blend half of the strawberries to make a kind of coulis. Add 1 tablespoon icing sugar and mix again for 2 minutes. Whisk the whipped cream for 1 minute. Gradually add the vanilla extract and the second spoon of icing sugar, and whip until the cream is very thick. Cut the remaining strawberries into cubes. Roughly crush the meringues in the salad bowl. 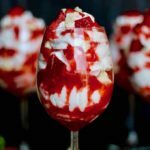 In large individual cups, place some cream, coulis, strawberry pieces, and meringue pieces ending with a few diced strawberries on top. Serve immediately or keep for up to 4 hours in the refrigerator before eating. 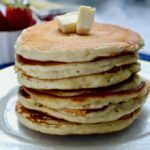 Egg whites must absolutely be at room temperature. For delicious meringues: The day before, break very cold eggs and separate them. Reserve the egg whites in a bowl covered with plastic wrap and let them "age" overnight at room temperature.